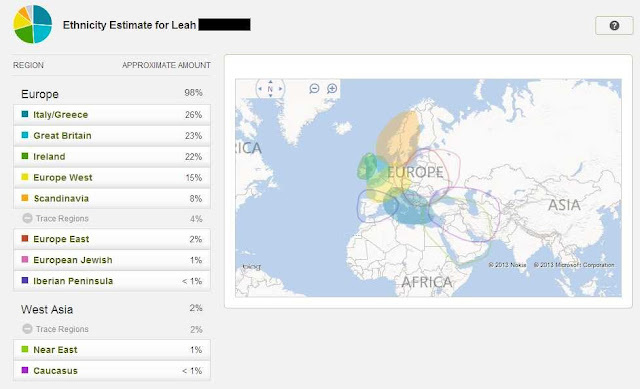 What a weird, exciting couple of genealogy days I've had! First I heard from someone who rescues old pictures. She had seen a post I had written about an ancestor of mine and it matched some info she had on the back of one of her "rescues." I can't tell you how excited I was and then I found a picture of the ancestor in question that I have from around the same time her picture was taken and it was a no match... THEN, I heard from a "cousin" and fellow researcher who I thought had dropped off the face of the earth and am now getting more information from her, so that makes up for the picture disappointment. NOW (as in this morning) I found a new "cousin" who is researching a particularly dense (that's what I call branches that don't volunteer a lot of info and are filled with brick walls at every turn) part of our tree (aren't those the best "cousins" to come across?). To top everything off, I took a nap this afternoon and dreamed that I lost all my genealogy information so now I can't shake the feeling that I need to go make back-ups in triplicate of every scrape of data I have. Oh yeah, and the other day one of the lovely volunteers at FindAGrave took pictures of some headstones for me that I had been anxious to see but forgotten about because I put in the request so long ago. Only problem is, the headstones are so old and weathered (thanks, New England winters) that they are completely illegible. Now I understand why you're always supposed to take charcoal and paper with you when you go to the cemetery.